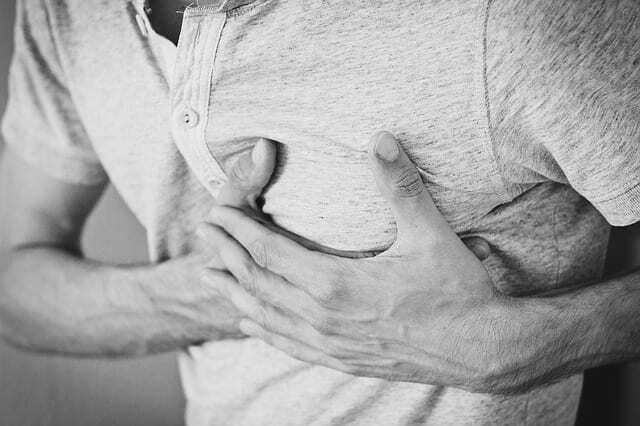 A myocardial infarction, commonly called a heart attack, occurs when blood flow to a part of the heart is blocked. This is a health care emergency because, without fast repair, part of the heart muscle can completely die. In turn, this leads to long-term problems, such as congestive heart failure. In fact, in some severe cases, patients are at risk of sudden cardiac death if the part of the heart with the natural pacemaker function fails. As a health care worker, you’re in a great position to limit the repercussions from a heart attack. You’ll be able to catch symptoms in your patients that show that this could be happening, such as chest, arm or jaw pain, nausea and vomiting and shortness of breath. By thinking on your feet, you can use these following four treatment options to limit heart damage before the patient’s doctor can get the patient in for a heart catheterization or another life-saving procedure. The common mnemonic that you probably learned in school was MONA, which stood for morphine, oxygen, nitrates and aspirin. However, the mnemonic never indicated exactly which protocol should be followed first. Plus, over the years, treatment recommendations from the American Heart Association changed. The only protocol that has remained the same over the years is aspirin, which has always been recommended as the first treatment for suspected myocardial infarction. Have your patient chew one adult-strength aspirin to get the drug quickly into his blood. The second recommendation used to always be to apply oxygen to improve oxygen supplies in the blood. However, this is only the case these days if your patient is hypoxemic, which is usually described as have oxygen saturations below 90 percent. Nitrates were once the third step for widening blood vessels. Today, it’s recommended that you only have your patient place a nitroglycerin under his tongue if he already has a prescription for it. If your patient does not already have a prescription, this medication could do him more harm than good as it lowers his blood pressure. The final step is morphine. This drug is recommended in two milligram doses only for severe chest, arm or jaw pain. Morphine can also help calm an anxious patient down, which can decrease the amount of oxygen that the body calls for during the heart attack. Of course, before you begin any of these life-saving treatments on your own at a hospital, ensure that you have a protocol in place that allows you to begin without a doctor’s order. Also, keep in mind that you should closely monitor your patient’s EKG rhythm. While you may routinely see ST elevation with an acute myocardial infarction, you should be on the lookout for bradycardia, V-tach or V-fib, which may occur in severe situations. If these rhythms occur, you must immediately turn to your ACLS training and certification to know exactly how to treat your patient. For example, you may need to defibrillate your patient or administer epinephrine or other medications per the appropriate algorithm. As always, keep in mind that every patient is different and that every myocardial infarction is a fluid situation. You’ll need to stay constantly on your toes so that you can respond at a moment’s notice to changes in your patient’s status. By relying on your training, your experience and the solid ACLS algorithms, you can feel confident that you’re ready to care for any patient who presents with life-threatening cardiovascular issues. Learn about our ACLS certification courses and strengthen your abilities as a solid healthcare professional.